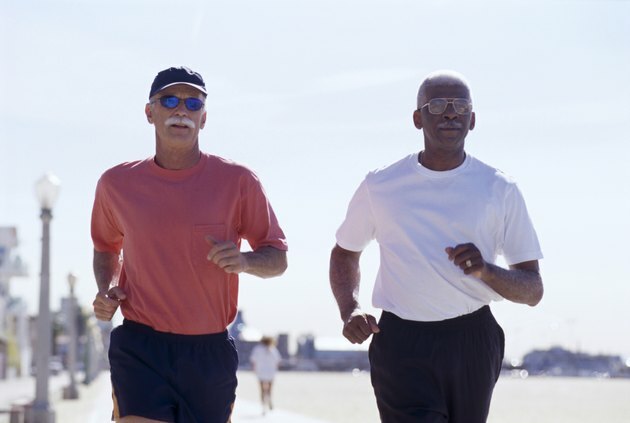 As men age, fat often develops at a faster rate on the body. This is due to several factors, including a less-active lifestyle and genetics. However, fat can be lost from around your body at any age. 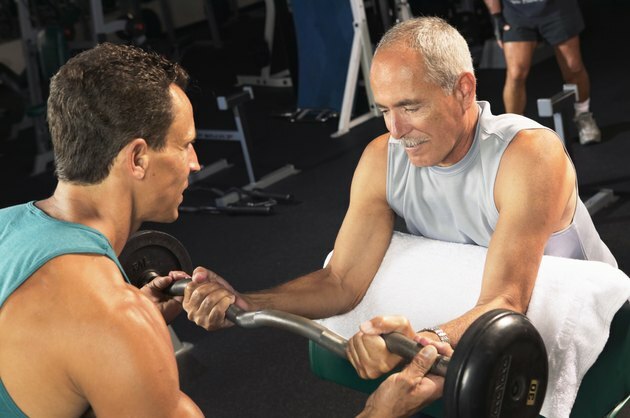 If you are a 40-year-old man wanting to lose excess body fat, implement an aerobic exercise routine to burn calories. 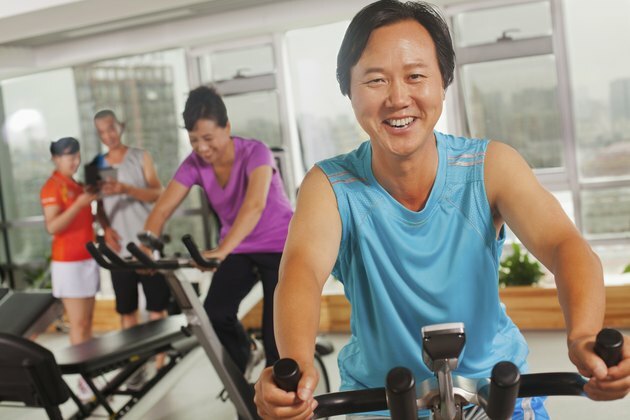 The Centers for Disease Control and Prevention suggests that adults perform at least 150 minutes of moderate activity every week. Walking at a steady pace can burn several hundred calories. The more intense the walking routine, the more calories you burn. For example, if a 185-lb. man walks at a pace of 3.5 mph for 30 minutes, he burns 356 calories. However, if the same man walks at a speed of 4.5 mph for the same amount of time, he burns almost 444 calories, according to Harvard Medical School. 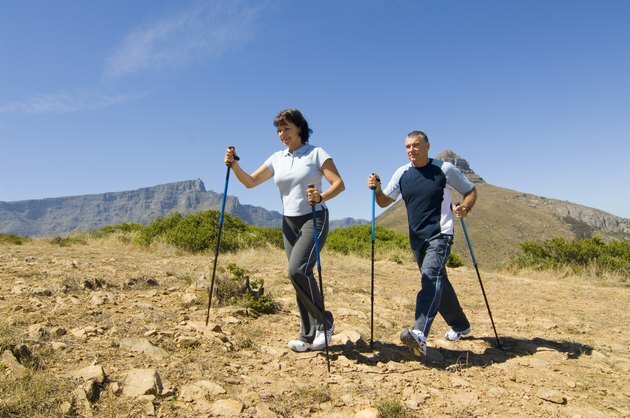 Try walking at a brisk pace on hilly terrain to burn even more calories. The intensity of jogging and running will cause you to burn significantly more calories than brisk walking. 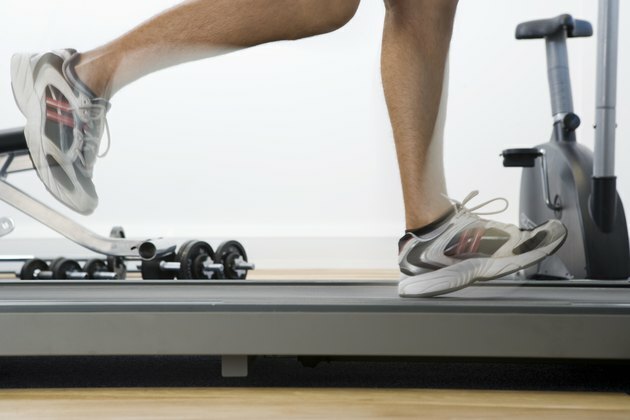 Jog at a pace of 5 mph to burn over 700 calories per hour, if you are a 185-lb. man. Increase your speed to 7.5 mph to burn over 1,100 calories per hour. Try jogging and running outside for a more scenic, enjoyable workout. Bicycling not only potentially burns a high number of calories, it provides a low-impact workout for your joints. Try bicycling on a stationary bike or take your bicycle outdoors to a community park or sidewalk. Leisurely bicycling will help a 185-lb. man burn 355 calories in 30 minutes; but increase your speed and bike on hilly terrain to blast more calories during your workout. Although many people may not realize it, training with weights and strength training equipment burns calories during the workout. However, perhaps more beneficial is the increased number of calories burned after the workout. Building lean muscle mass requires more calories to maintain, meaning you burn more calories in the long run. Perform a full-body strength-training workout at least twice a week, as recommended by the CDC. During each of these workouts, concentrate on strengthening your chest, shoulders, arms, back, abdomen and legs.